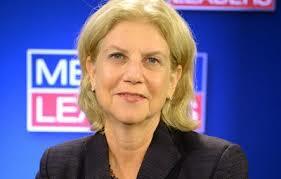 SHELLEY MAYER – OUR CHOICE FOR NY STATE SENATE! <>Shelley is 100% pro-choice and has spent both her professional career and private life battling for women to have unimpeded access to comprehensive healthcare including abortion and contraception, regardless of age, race, class, status, geography or ability to pay. <>Shelley supports the Reproductive Health Act and the Comprehensive Contraceptive Coverage Act, and has voted for the passage of both while in the Assembly. As a State Senator, she will continue the fight to make these two bills New York State law. <>Shelley is committed to the funding of our health centers and Planned Parenthood. <>She is an outspoken advocate for gender equality, equal pay, and an end to sexual harassment and abuse. <>Shelley has signed a pledge promising NOT to join the IDC*! <>Shelley is rated A+ by WCLA – Choice Matters! IN SHARP CONTRAST, her Opponent is Anti-Choice and puts Big Business before people – AND WILL BE ONE MORE VOTE FOR THE PARTY OF TRUMP IN ALBANY! <>This Opponent refuses to support the Reproductive Health Act which would remove abortion from New York’s penal code, put it in the health code, and provide women with the 21st century healthcare we deserve. <>This Opponent thinks that the U.S. Supreme Court decision in Burwell v. Hobby Lobby is “no issue”. That decision allows corporations to claim so-called religious convictions in order to refuse to provide contraception as part of their health insurance plans. (Remember, businesses make a conscious decision to incorporate, giving up any ownership by individuals, to gain tax breaks and avoid liability.) This Opponent thinks this is “no issue”, allowing corporations to refuse to provide contraception as part of the health insurance plans. <>This Opponent refuses to take a stand on the funding of stem cell research and family planning. This Opponent will govern with the Party of Trump and the IDC. New York Women CANNOT Afford this Opponent! WCLA – Choice Matters & WCLA PAC respectively have rated and/or endorsed the candidates based upon their positions on a woman’s right to choose. These ratings have been made based upon this year’s process & the 2017 and 2016 process and questionnaires. 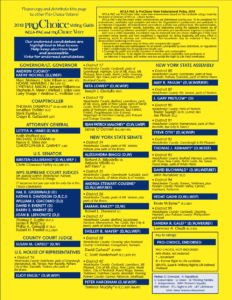 *What comprises NYS Senate District #37? Bedford, Eastchester, Harrison, Mamaroneck, North Castle, Rye (City & Town), and parts of New Rochelle, White Plains and Yonkers.The 37th district is incredibly gerrymandered to favor Republicans. **Why a Special Election? This Special Election was called after then-Senator George Latimer was elected to be Westchester’s County Executive in November 2017. Latimer represented the 37th Senate District prior to the November election. ***What is the IDC? The IDC (so-called “Independent Democratic Conference”) is a group of 8 rogue Democrats. This group of 8 have taken the majority away from the duly elected Democrats and given it to the Party of Trump, the Republicans. The IDC literally stripped the majority away from the Democrats in the Senate by throwing their voting power in with the Republicans — All the while deceiving their own constituents by not telling the voters about their slight-of-hand actions on Election Day, or any other day. Click here to see the names of the 8 IDC members. These fake Dems deliberately catapulted the Party of Trump into the majority. No progressive legislation can come to the floor of the Senate until these 8 return to the Democratic Caucus, or are replaced.